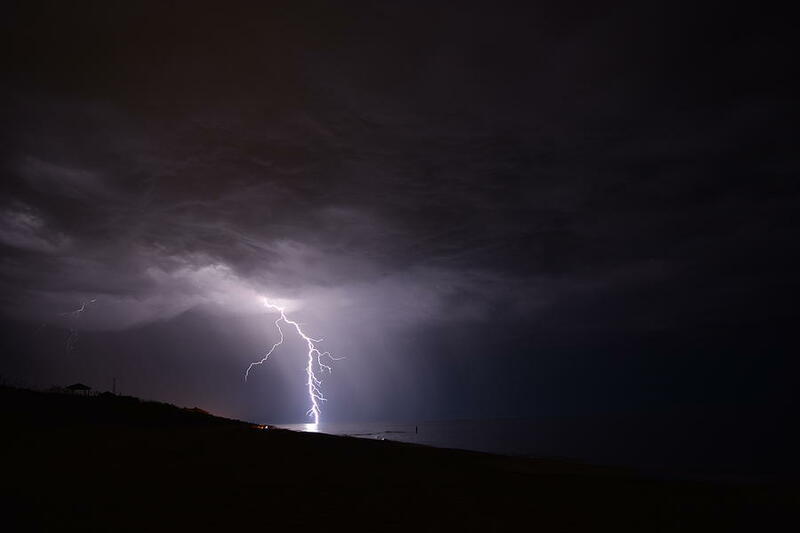 Lightning On The Beach #1 is a photograph by Connor Sipe which was uploaded on July 25th, 2016. This photo was taken at Nags Head, NC at around 9 pm on July 19, 2016. The shutter was open for about five seconds. This storm was severe and producing frequent lightning about four miles away from me at its closest. There are no comments for Lightning On The Beach #1. Click here to post the first comment.